Stand Up Paddle Surfing: Stand Up Paddle Surf Girls Rip: Tiffany tearing on her PSH Hull Ripper! Stand Up Paddle Surf Girls Rip: Tiffany tearing on her PSH Hull Ripper! "This was one of those beautiful spring mornings on the North Shore. The surf was was really fun and consistent. Everyone was getting waves and having a blast. 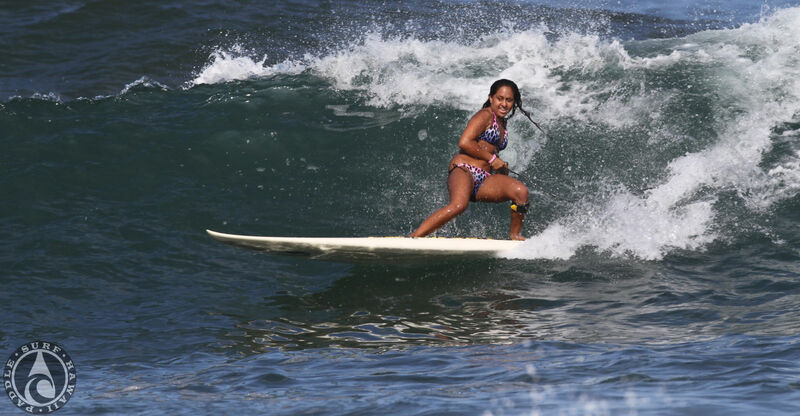 Tiffany was surfing really well and in this sequence is putting her Hull Ripper on rail for a nice cutback." That's the full PSH style cutback- I've seen lots of shots of guys (and now gals) on those boards laying down that type of full rail turn. Thanks again for the photos and keep 'em coming!